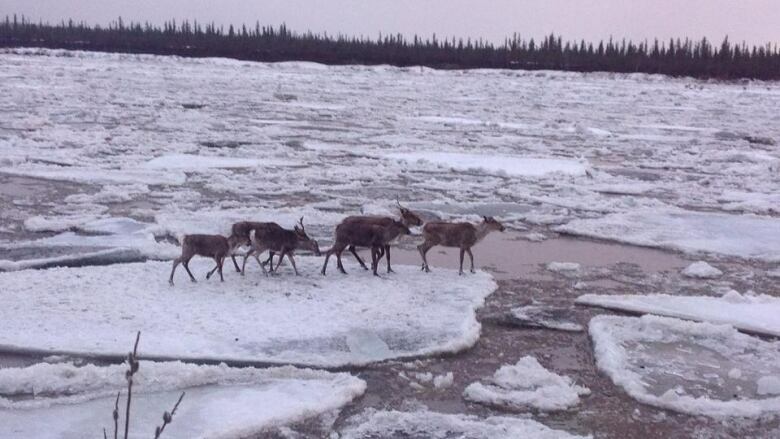 'It's a positive, shining light in the caribou world,' says Yukon biologist. An aerial count of the Porcupine caribou herd in July reports between 202,000 and 235,000 animals, nearly twice the number of animals recorded at a low point in 2001. "We might have just recorded the largest number for this herd since modern scientific monitoring started in the 1970s," said Mike Suitor, regional biologist for the North Yukon Region with Environment Yukon, from Dawson City. "Given the state of caribou worldwide right now, it's a positive, shining light in the caribou world — that there are some herds that are doing well." The Committee on the Status of Endangered Wildlife in Canada has sounded the alarm on barren ground caribou as a whole, as some herds have declined more than 90 per cent from historic averages. Aerial surveys like this are done every second year as a joint venture between Yukon and Alaska. Joe Tetlichi, chair of the Porcupine Caribou Management Board, calls the news "very promising, considering all the other herds that are declining across Canada and specifically around the Northwest Territories and Yukon." He's proud of the work that's been done on a harvest management plan, and that hunting appears to be sustainable. "When the caribou hit the Dempster Highway, the people will get their caribou. It's a really healthy herd and taking four per cent out of a large herd like that, it doesn't really put a big dent," he said. Tetlichi thanks communities who have followed voluntary measures such as not harvesting cows. "When we started seeing the decline in other herds around us, we started working with the communities. I think that was a positive initiative because the First Nations got on board with us and they started working with us." Tetlichi adds that the Porcupine caribou herd also benefits from having an expanse of undisturbed land, roaming between Alaska and Yukon. "It's a vast area, it's 250,000 square kilometres ... and there's really no hunting pressures at the moment," he said. 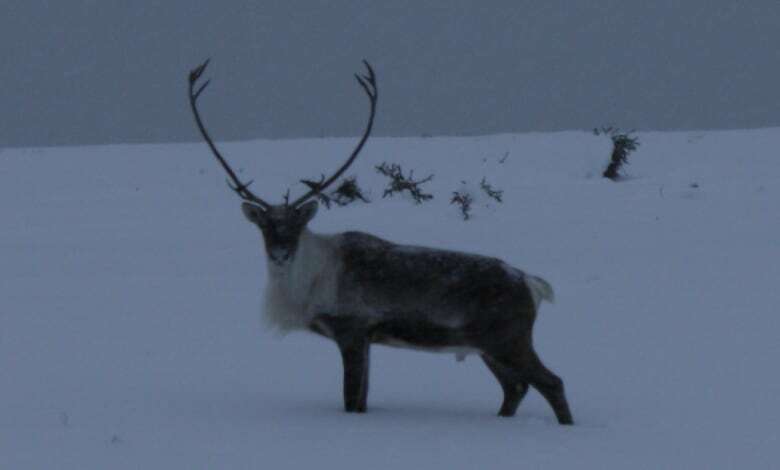 Porcupine caribou are not considered threatened. The herd is often hunted off the Dempster Highway, though some hunters from Old Crow, Aklavik, Fort McPherson and other communities travel inland or follow the coast. All licensed hunters in Yukon can buy tags for two bulls a year, with no limit on the total amount of tags sold. Suitor said the accepted theory for the herd's resurgence is that of a natural cycle. All barren ground caribou herds are believed to have a natural growth cycle, which happens over decades. The rate of growth recorded in the last eight years is similar to a previous increase recorded in the 1970s and 80s. The herd's previous peak was in 1989, with 178,000 animals. "With this herd we've now measured two independent peaks. The growth rates are very similar. And we know from other historical information that there had been a low back in the 1960s as well," Suitor said. Asked for a prediction on when growth would stop, Suitor said "I wish," and laughed. "That's the one thing with caribou, is whenever you think you know something they always prove you wrong. They're challenging to work with. But certainly I would anticipate at some point in the next decade we could see the herd start to decline again," he said. Tetlichi said the natural cycle theory matches traditional knowledge. "With climate change we really don't know. Historically our people have always said, sometimes there's no caribou but other times there's vast amounts." The aerial survey is a collaboration between the Yukon government and the Alaska Department of Fish and Game. Some techniques were changed this year. One change Suitor notes is that Alaska upgraded "their old World War II-era cameras to a new digital platform," which allows higher-resolution photographs. Surveyors used to painstakingly count caribou with magnifying glasses on film printouts. This year, for the first time, the count was aided by computers, used to stitch aerial photos together into one mega-resolution file and then tag caribou with a dot. Suitor said the count was reviewed by human eyes but the computer's efforts saved countless hours. The count comes as the U.S. has set the stage for oil exploration in the Arctic National Wildlife Refuge (ANWR), a move opposed by Gwich'in on both sides of the border. Tetlichi said the board is concerned about drilling in ANWR but said that's a question for First Nations, territorial, state and national governments, not the management board itself. "At the board, we are very concerned about it. However we're not a political organization. "When you open up an area, especially the calving ground area, then definitely you are going to have a high mortality in regards to calving. That's a concern to us, but we leave the political challenges up to the First Nations."